We can all do more to save water. Even if you don’t live in one of the drought-afflicted states like California that are currently worrying about whether they’ll have any water at all in the next few years, water conservation is something that all of us should be concerned about, not just because it’s good for the environment, but also because it lowers our monthly water bills, giving us more money to spend on other things. Not sure what you can do to save more water? We’ve got a few helpful suggestions. Did you know that the average showerhead flows at a rate of 5 gallons of water per minute? With that much water coming out, even short showers end up consuming a lot of water. An easy way to cut down on water consumption without even having to change any of your bathing habits is to install a low-flow shower head. How much of a difference can this make? Most low-flow shower heads have a flow rate of 2.5 gallons per minute or less – a 50% or more reduction in water consumption compared to standard shower heads. 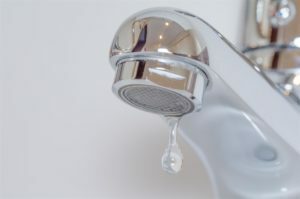 Many people have leaks in their plumbing without even realizing it, or they simply ignore them because they think they’re too small to bother with. If you want to cut down your water consumption, though, fixing that dripping faucet will have a bigger impact on your water bill than you think. Leaks account for 14% of most households’ water footprint – that’s 10 gallons per day. Be sure to check your pipes regularly for leaks, even small ones. Fixing them will have a big impact on your water footprint. If you have a garden, house plants, or other things around your house that require water, there’s an easy way to make sure you have enough without running up your water bill. Instead of simply letting the water in your shower or bath run while it heats up, use a bucket to catch the cold water that comes out right when you turn it on. Then, use that water to wash the dishes, water the plants, or for whatever other water-consuming tasks you have around the house. Do you prefer baths to showers? If you do, that unfortunately means that you’re using up far more water than your shower-inclined friends and family. The average bath uses up between 35 and 50 gallons in a single sitting, compared to the 25 gallons consumed by the average shower. 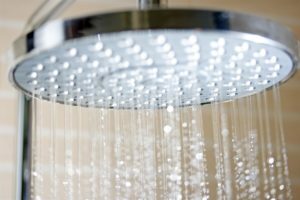 While the occasional bath is all right, switching to showers the majority of the time will do a lot to cut down on your water consumption and save you quite a bit of money in the long run. Want more information on how to make the most of your bathroom? American Bath Enterprises, Inc. has a full selection of bath and shower enclosures, including ADA compliant shower kits. Contact us today at 888-228-4925 for more information.